Rau Muong, also known as water spinach and morning glory, is a leafy swamp vegetable that grows in abundance in Vietnam. Here in the States, you can find them in Asian grocery stores when they are in season. The prized part of the vegetable is the tender shoots. Most of the leaves are usually discarded as too much can give a dish a slimy texture. 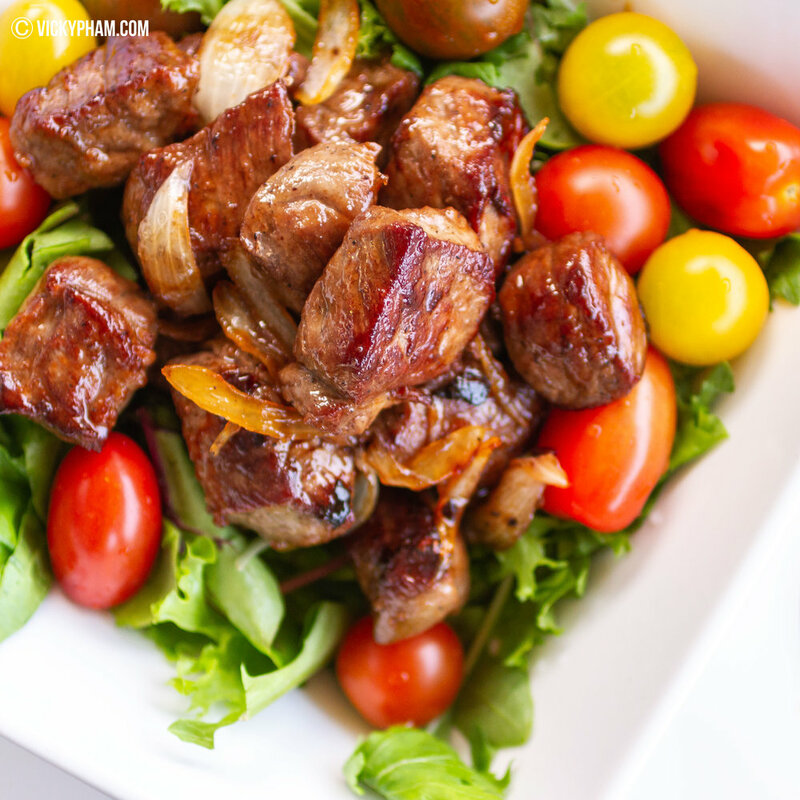 Vietnamese Shaking Beef is seared cubed steak sauteed with garlic, onion, butter, and a soy marinade. The beef goes onto a bed of lettuce, watercress, tomato and/or cucumbers, and served with an optional lime-salt-and-pepper dipping sauce. Fried tofu in tomato sauce (Dau Hu Sot Ca Chua), is a very common Vietnamese side dish that goes great with steamed rice. Add ground pork and you have a hearty, delicious meal.